Visitors to Chartiers Center take note of road closures if you travel on Painters Run Rd. On Feb. 18thPainters Run Rd. will close for 100 days between Robb Hollow and McMillan roads for the first phase of a project that will replace two retaining walls. When Phase I concludes, Painter’s Run will reopen from Robb Hollow to McMillan but then will close for 75 days from McMillan to Bower Hill. 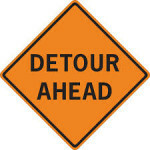 Detour signs will be posted two weeks before the project begins in February, directing people from Painter’s Run Rd. up Robb Hollow Rd. to Bower Hill Rd. Emergency personnel have been notified and will have alternate plans. If you have an appointment at Chartiers Center start planning your route now and avoid Painter’s Run Rd. if possible.